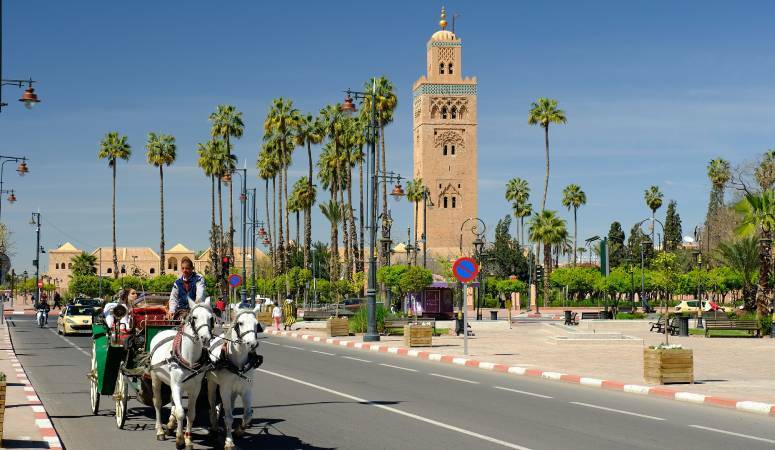 From amazing shopping experiences with the ability to purchase handmade goods from local craftsmen to sunshine, incredible cuisine and more, the historical city of Marrakech has something to offer everyone. Here are five great reasons you should consider a trip to Marrakech. Not only is this exotic city more affordable than many European travel destinations, but getting there is easy and inexpensive too. Flights from many major European cities are available on the low-cost airline, Ryan Air, and can be purchased for as little as $50 each way. 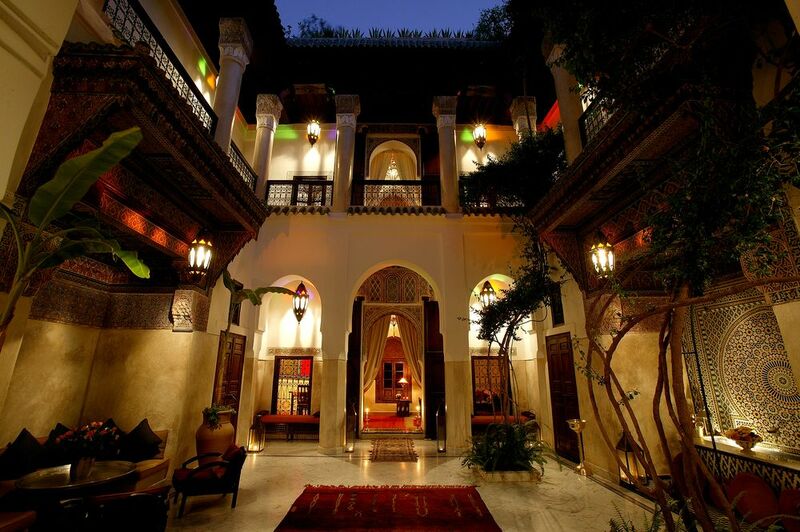 Marrakech lodging and hotels includes a variety of accommodations from very low cost hotels with rooms starting at just $5 to luxurious hotels, where guests are treated like royalty for less than $100 a night. The world famous square, Djemaa El-Fna, is a vibrant market in the ancient wall of the city’s medina quarter. The square is a highlight for any visitor to Marrakech, bursting with colorful food and amazing crafts as well as the sounds of Moroccan performers. Here you’ll find snake charmers and healers, storytellers and costumed water sellers, along with exquisite food and just about everything under the sun for sale. From shoes and teapots to spices, handmade shawls, jalabas, kaftans, and more, Djemaa El-Fna is a not-to-be-missed experience. 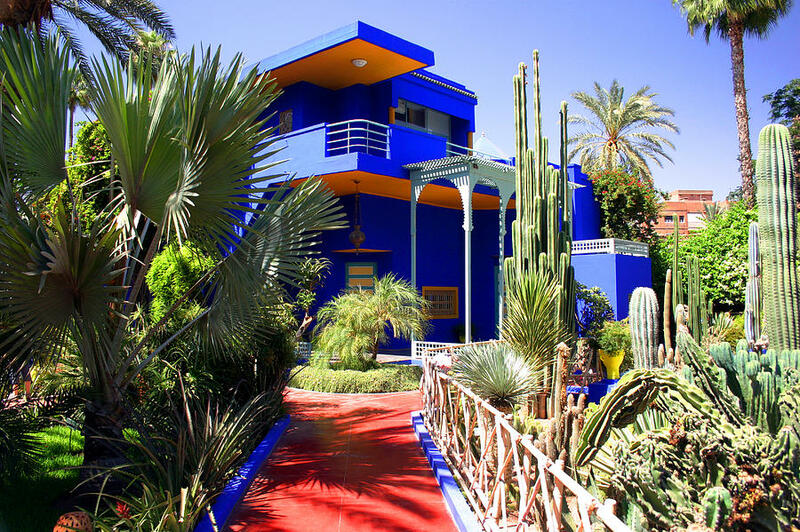 Majorelle Gardens was created in the 1920s by French painter, Jacques Majorelle. Built around his artist’s studio, this delightful garden feels like a walk into one Majorelle’s paintings. Here you’ll find raised pathways, bamboo groves, coconut palms and even marble pools. One of the most visited attractions in the nation,Marjorelle Gardens sits in the heart of the city, offering picture-perfect photo opportunities. In 2018, Marrakech Popular Art Festival celebrated its 53rd year. 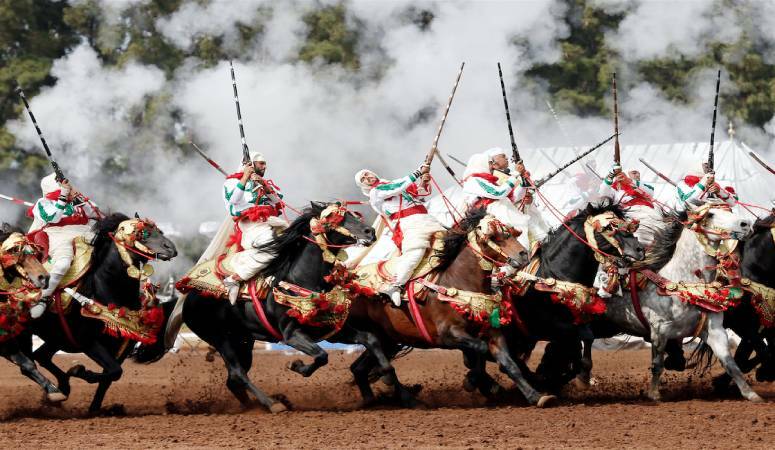 This annual event is one of the world’s biggest and brightest festivals, attracting dancers and acting troupes, folk singers and fortune-tellers and much more from all over Morocco and even many entertainers from Europe and Asia. The highlight for many, is the show “Fantasia,” a colorful cultural show with magnificent Arabian horses, a massive banquet of delicious Moroccan foods and entertainment that includes belly dancers, jugglers and singers adorned in traditional dress. 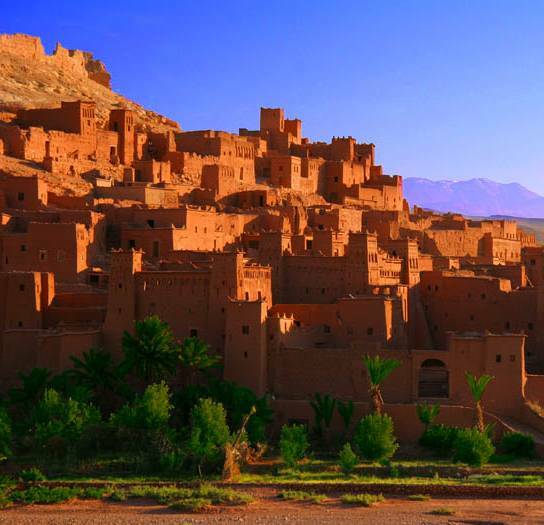 This Moroccan region is not all desert and sunshine. Just south of Marrakech, you’ll find Oukaimeden ski resort in the Atlas Mountains. This unique resort is the highest ski resort in Africa and has all the amenities of a high-class European resort with a Moroccan touch, with the cost of lift passes at just ten dollars! While the snow is not well-groomed, the amazing feeling of skiing in subtropical Africa makes this adventure well worth the undertaking.